7 The shape of the locusts was like horses prepared for battle. On their heads were crowns of something like gold, and their faces were like the faces of men. 8 They had hair like women's hair, and their teeth were like lions' teeth. 9 And they had breastplates like breastplates of iron, and the sound of their wings was like the sound of chariots with many horses running into battle. 10 They had tails like scorpions, and there were stings in their tails. Their power was to hurt men five months. 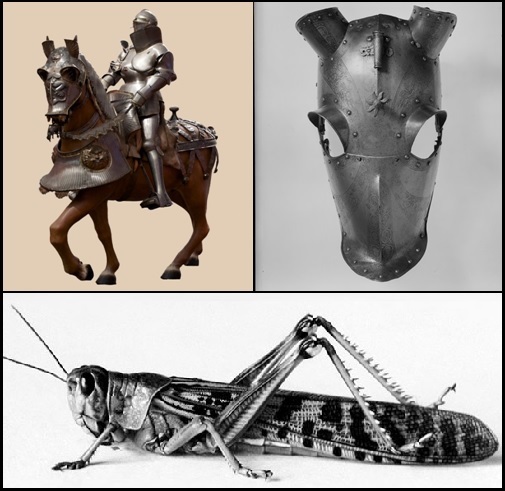 Revelation 9:7 - The shape of the locusts was like horses prepared for battle. On their heads were crowns of something like gold, and their faces were like the faces of men. In the next few verses, John describes what the tormenting locusts literally look like in terms he was familiar with. 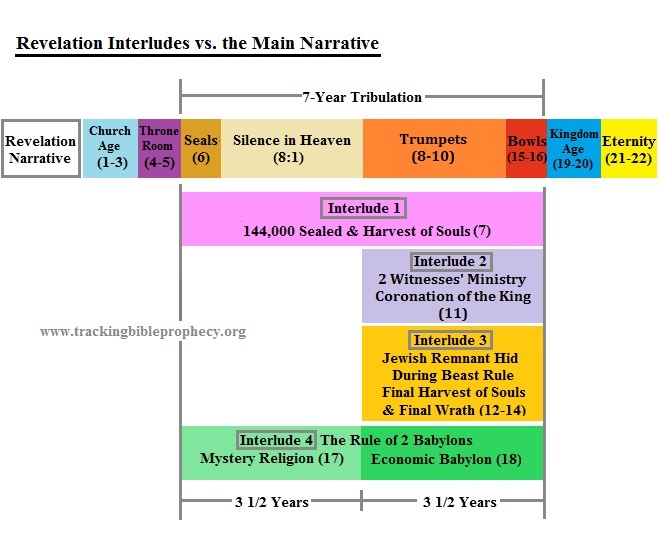 These similitude descriptions each have significance interpreted elsewhere in Scripture. As an interesting side note, the German language recognizes the similar appearance between horses and an insect similar to the locust. 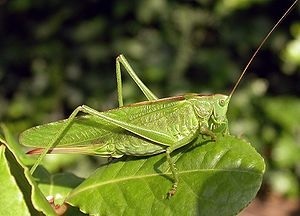 This insect is a variety of cricket in Germany called the "grünes heu pferd," which literally translates to "green hay horse." 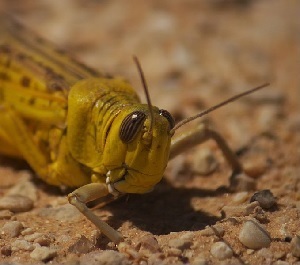 John continues to describe the tormenting locusts as having a crown on their head that looks like gold. Recall from Revelation 1:13, gold represents holiness and purity, as it retains all of its qualities when tested in fire. This supports the notion discussed in Revelation 9:5, that the locusts are clean spirits created for the purpose of tormenting both lost souls of men and unclean spirits. The word translated crown is "stephanos," or a victor's crown, the same type of crown worn by the twenty-four elders in Revelation 4:4 and the rider of the white horse in Revelation 6:2. The locusts wearing the victor's crown shows they are victorious in their mission. Ezekiel 1:5, 10 - Also from within it came the likeness of four living creatures. And this was their appearance: they had the likeness of a man.... As for the likeness of their faces, each had the face of a man; each of the four had the face of a lion on the right side, each of the four had the face of an ox on the left side, and each of the four had the face of an eagle. Revelation 4:7 - The first living creature was like a lion, the second living creature like a calf, the third living creature had a face like a man, and the fourth living creature was like a flying eagle. The locusts having human and non-human features show that these spirit beings are closer to the genre of the cherubim and seraphim than angels who are always described in Scripture as being in the likeness of men. Revelation 9:8 - They had hair like women's hair, and their teeth were like lions' teeth. John continues to describe the tormenting locusts. He notices that they have hair like a woman. Some believe John is describing long antennae like that of natural locusts, but he could be describing a full head of hair instead. It doesn't matter either way, as the symbolism is what is important here. 1 Corinthians 11:14-15 - Does not even nature itself teach you that if a man has long hair, it is a dishonor to him? But if a woman has long hair, it is a glory to her; for her hair is given to her for a covering. 1 Corinthians 11:6-10 - For if a woman is not covered, let her also be shorn. But if it is shameful for a woman to be shorn or shaved, let her be covered. For a man indeed ought not to cover his head, since he is the image and glory of God; but woman is the glory of man. For man is not from woman, but woman from man. Nor was man created for the woman, but woman for the man. For this reason the woman ought to have a symbol of authority on her head, because of the angels. Therefore, women's hair on the locusts shows that they have authority over their heads. Indeed, the tormenting locusts are under authority of a king, as we will see in Revelation 9:11. Joel 1:4-7 - What the chewing locust left, the swarming locust has eaten; what the swarming locust left, the crawling locust has eaten; and what the crawling locust left, the consuming locust has eaten. Awake, you drunkards, and weep; and wail, all you drinkers of wine, because of the new wine, for it has been cut off from your mouth. For a nation has come up against My land, strong, and without number; his teeth are the teeth of a lion, and he has the fangs of a fierce lion. He has laid waste My vine, and ruined My fig tree; he has stripped it bare and thrown it away; its branches are made white. The prophecy above also extends to the Tribulation period, or the time of Jacob's trouble, when two-thirds of the Jewish people are devoured because they reject Christ as Messiah, and thus reject God (Zechariah 13:8-9). The word translated as "serpents" in this passage can also be translated "crawling locusts." 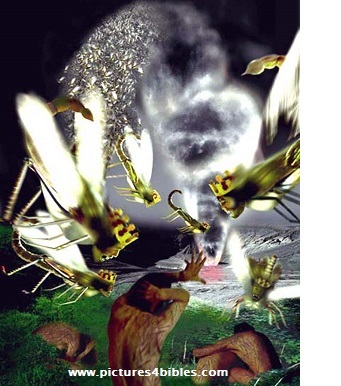 While the locusts in Joel's day did not have venom like a scorpion or a snake, the locusts from the bottomless pit do strike and torment like a scorpion (Revelation 9:5 & 10). Note that God would also send against Israel the "teeth of beasts" (Deuteronomy 32:24). The lion is the king of the beasts, as discussed in Revelation 5:5. Here again we see destruction involving teeth of a lion or beasts. However, the tormenting locusts from the bottomless pit are not allowed to devour vegetation or their human victims, but only to torment them with their tail. Therefore, the locusts from the bottomless pit having teeth like a lion show that they are capable to devour like their earthly counterparts, but they refrain from doing because of the authority over their heads that prohibits them, symbolized by their hair like that of a woman. As mentioned in the last section, the tormenting locusts have traits of both humans and non-human creatures like the living creatures, having the face of a man, hair of a woman, teeth of a lion, and tail of a scorpion, with the likeness of a horse prepared for battle. 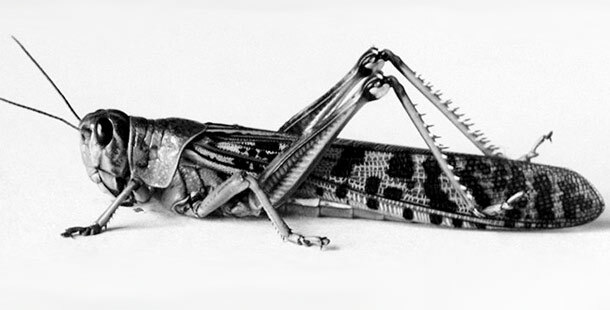 For the most part, John gave descriptions of the tormenting locusts that are not too far off from how we could describe natural locusts, but since they come from the bottomless pit we naturally assume these creatures should look dreadful. Some have even called these creatures "infernal cherubim," in that they believe they are monstrous and therefore befitting of Hades. 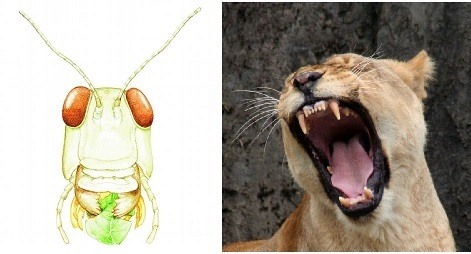 Indeed, the similitude descriptions explained elsewhere in Scripture show us that they truly are horrific creatures made to mete out God's judgment, but they might look more like natural locusts than we might imagine. Revelation 9:9 - And they had breastplates like breastplates of iron, and the sound of their wings was like the sound of chariots with many horses running into battle. The Greek word translated "breastplates" is "thorax." In English, "thorax" is a term used to describe the chest area of animals, but is more widely used to refer to the midsection of certain kinds of insects called arthropods that have legs and wings like locusts. Exodus 28:29-30 - "So Aaron shall bear the names of the sons of Israel on the breastplate of judgment over his heart, when he goes into the holy place, as a memorial before the LORD continually. And you shall put in the breastplate of judgment the Urim and the Thummim, and they shall be over Aaron's heart when he goes in before the LORD. So Aaron shall bear the judgment of the children of Israel over his heart before the LORD continually." Psalms 2:7-9 - "I will declare the decree: The LORD has said to Me, 'You are My Son, today I have begotten You. Ask of Me, and I will give You the nations for Your inheritance, and the ends of the earth for Your possession. You shall break them with a rod of iron; You shall dash them to pieces like a potter's vessel.'" Daniel 2:40 - And the fourth kingdom shall be as strong as iron, inasmuch as iron breaks in pieces and shatters everything. Daniel 7:7 - "After this I saw in the night visions, and behold, a fourth beast, dreadful and terrible, exceedingly strong. It had huge iron teeth; it was devouring, breaking in pieces, and trampling the residue with its feet. It was different from all the beasts that were before it, and it had ten horns." Deuteronomy 28:47-48 - "Because you did not serve the LORD your God with joy and gladness of heart, for the abundance of everything, therefore you shall serve your enemies, whom the LORD will send against you, in hunger, in thirst, in nakedness, and in need of everything; and He will put a yoke of iron on your neck until He has destroyed you." Matthew 10:28 - And do not fear those who kill the body but cannot kill the soul. But rather fear Him who is able to destroy both soul and body in hell. Nahum 3:2 - The noise of a whip and the noise of rattling wheels, of galloping horses, of clattering chariots! Judges 5:28 - "The mother of Sisera looked through the window, and cried out through the lattice, 'Why is his chariot so long in coming? Why tarries the clatter of his chariots?'" Ezekiel 10:5 - And the sound of the wings of the cherubim was heard even in the outer court, like the voice of Almighty God when He speaks. 2 Kings 7:6 - For the LORD had caused the army of the Syrians to hear the noise of chariots and the noise of horses - the noise of a great army; so they said to one another, "Look, the king of Israel has hired against us the kings of the Hittites and the kings of the Egyptians to attack us!" Joel 2:4-5 - Their appearance is like the appearance of horses; and like swift steeds, so they run. With a noise like chariots over mountaintops they leap, like the noise of a flaming fire that devours the stubble, like a strong people set in battle array. Joel 2:8-9, 11, 25 - They do not push one another; every one marches in his own column. Though they lunge between the weapons, they are not cut down. They run to and fro in the city, they run on the wall; they climb into the houses, they enter at the windows like a thief.... The LORD gives voice before His army, for His camp is very great; for strong is the One who executes His word. For the day of the LORD is great and very terrible; who can endure it...? So I will restore to you the years that the swarming locust has eaten, the crawling locust, the consuming locust, and the chewing locust, My great army which I sent among you. Revelation 9:10 - They had tails like scorpions, and there were stings in their tails. Their power was to hurt men five months. 1 Corinthians 15:54-56 - So when this corruptible has put on incorruption, and this mortal has put on immortality, then shall be brought to pass the saying that is written: "Death is swallowed up in victory." "O death, where is your sting? O Hades, where is your victory?" The sting of death is sin, and the strength of sin is the law. Acts 9:4-5 - Then he fell to the ground, and heard a voice saying to him, "Saul, Saul, why are you persecuting Me?" And he said, "Who are You, Lord?" Then the Lord said, "I am Jesus, whom you are persecuting. It is hard for you to kick against the goads." 1 Samuel 13:20-21 - But all the Israelites would go down to the Philistines to sharpen each man's plowshare, his mattock, his ax, and his sickle; and the charge for a sharpening was a pim for the plowshares, the mattocks, the forks, and the axes, and to set the points of the goads. Ecclesiastes 12:11 - The words of the wise are like goads, and the words of scholars are like well-driven nails, given by one Shepherd. The more an animal resists by kicking the goads the more they get inflicted with pain from the sharp object. Likewise, it will be futile to try to escape the sting from the scorpions from the bottomless pit. Perhaps trying to escape by trying to commit suicide, for instance, may prove to be more painful. For five months anyone not protected with the seal of God on their forehead will be subject to the torment inflicted by the locust's sting, as discussed in Revelation 9:5. Ezekiel 2:6 - "And you, son of man, do not be afraid of them nor be afraid of their words, though briers and thorns are with you and you dwell among scorpions; do not be afraid of their words or dismayed by their looks, though they are a rebellious house." Psalms 118:12 - They surrounded me like bees; they were quenched like a fire of thorns; for in the name of the LORD I will destroy them. Isaiah 7:18-19 - And it shall come to pass in that day that the LORD will whistle for the fly that is in the farthest part of the rivers of Egypt, and for the bee that is in the land of Assyria. They will come, and all of them will rest in the desolate valleys and in the clefts of the rocks, and on all thorns and in all pastures. Hebrews 6:7-8 - For the earth which drinks in the rain that often comes upon it, and bears herbs useful for those by whom it is cultivated, receives blessing from God; but if it bears thorns and briers, it is rejected and near to being cursed, whose end is to be burned. Numbers 33:55 - But if you do not drive out the inhabitants of the land from before you, then it shall be that those whom you let remain shall be irritants in your eyes and thorns in your sides, and they shall harass you in the land where you dwell. Joshua 23:13 - ...know for certain that the LORD your God will no longer drive out these nations from before you. But they shall be snares and traps to you, and scourges on your sides and thorns in your eyes, until you perish from this good land which the LORD your God has given you. Judges 2:3 - Therefore I also said, 'I will not drive them out before you; but they shall be thorns in your side, and their gods shall be a snare to you.'" Ezekiel 28:24 - "And there shall no longer be a pricking brier or a painful thorn for the house of Israel from among all who are around them, who despise them. Then they shall know that I am the Lord GOD." Isaiah 9:18 - For wickedness burns as the fire; it shall devour the briers and thorns, and kindle in the thickets of the forest; they shall mount up like rising smoke. Revelation 14:11 - And the smoke of their torment ascends forever and ever; and they have no rest day or night, who worship the beast and his image, and whoever receives the mark of his name. Revelation 9:11 - And they had as king over them the angel of the bottomless pit, whose name in Hebrew is Abaddon, but in Greek he has the name Apollyon. In contrast, the tormenting locusts from the bottomless pit do have a king over them. This king is an angel called Abaddon in Hebrew, or Apollyon in Greek, which literally translates to "the destroyer." Incidentally, John is the only author in Scripture who uses the phrase "in Hebrew," and other than one time in Luke 23:38, John is the only one to give us names of certain things in the New Testament in both Greek and Hebrew (John 5:2, 19:13, 17, 20, Revelation 16:16), which confirms his authorship of both the book of John and Revelation. Psalms 88:9-11 - My eye wastes away because of affliction. LORD, I have called daily upon You; I have stretched out my hands to You. Will You work wonders for the dead? Shall the dead arise and praise You? Selah Shall Your lovingkindness be declared in the grave? Or Your faithfulness in the place of destruction? Proverbs 15:11 - Hell and Destruction are before the LORD; So how much more the hearts of the sons of men. Job 26:5-6 - "The dead tremble, those under the waters and those inhabiting them. Sheol is naked before Him, and Destruction has no covering." Job 31:11-12 - For that would be wickedness; yes, it would be iniquity deserving of judgment. For that would be a fire that consumes to destruction, and would root out all my increase. Job 28:20-23 - "From where then does wisdom come? And where is the place of understanding? It is hidden from the eyes of all living, and concealed from the birds of the air. Destruction and Death say, 'We have heard a report about it with our ears.' God understands its way, and He knows its place." Recall from Revelation 6:8, that "Death" is a real spiritual entity given power to kill people on earth. So it is possible that "Abaddon" is merely an angel given authority over the tormenting locusts, which are equipped to "destroy," but refrain from doing so in the fifth Trumpet judgment. In other words, this angel's name reflects the destructive power he is able to unleash through the locusts under his authority. 1 Peter 5:8 - Be sober, be vigilant; because your adversary the devil walks about like a roaring lion, seeking whom he may devour. Revelation 12:7 - And war broke out in heaven: Michael and his angels fought with the dragon; and the dragon and his angels fought, but they did not prevail, nor was a place found for them in heaven any longer. So the great dragon was cast out, that serpent of old, called the Devil and Satan, who deceives the whole world; he was cast to the earth, and his angels were cast out with him. Revelation 20:1-3 - Then I saw an angel coming down from heaven, having the key to the bottomless pit and a great chain in his hand. He laid hold of the dragon, that serpent of old, who is the Devil and Satan, and bound him for a thousand years; and he cast him into the bottomless pit, and shut him up, and set a seal on him, so that he should deceive the nations no more till the thousand years were finished. But after these things he must be released for a little while. Revelation 13:3 - And I saw one of his heads as if it had been mortally wounded, and his deadly wound was healed. And all the world marveled and followed the beast. So they worshiped the dragon who gave authority to the beast; and they worshiped the beast, saying, "Who is like the beast? Who is able to make war with him?" And he was given a mouth speaking great things and blasphemies, and he was given authority to continue for forty-two months. Revelation 11:7 - When they finish their testimony, the beast that ascends out of the bottomless pit will make war against them, overcome them, and kill them. Revelation 17:8 - The beast that you saw was, and is not, and will ascend out of the bottomless pit and go to perdition. And those who dwell on the earth will marvel, whose names are not written in the Book of Life from the foundation of the world, when they see the beast that was, and is not, and yet is. 2 Thessalonians 2:3-4, 8 - Let no one deceive you by any means; for that Day will not come unless the falling away comes first, and the man of sin is revealed, the son of perdition, who opposes and exalts himself above all that is called God or that is worshiped, so that he sits as God in the temple of God, showing himself that he is God.... And then the lawless one will be revealed, whom the Lord will consume with the breath of His mouth and destroy with the brightness of His coming. Exodus 12:23, 29 - For the LORD will pass through to strike the Egyptians; and when He sees the blood on the lintel and on the two doorposts, the LORD will pass over the door and not allow the destroyer to come into your houses to strike you.... And it came to pass at midnight that the LORD struck all the firstborn in the land of Egypt, from the firstborn of Pharaoh who sat on his throne to the firstborn of the captive who was in the dungeon, and all the firstborn of livestock. 1 Corinthians 10:1-2, 5-10 - Moreover, brethren, I do not want you to be unaware that all our fathers were under the cloud, all passed through the sea, all were baptized into Moses in the cloud and in the sea.... But with most of them God was not well pleased, for their bodies were scattered in the wilderness. Now these things became our examples, to the intent that we should not lust after evil things as they also lusted. And do not become idolaters as were some of them. As it is written, "The people sat down to eat and drink, and rose up to play." Nor let us commit sexual immorality, as some of them did, and in one day twenty-three thousand fell; nor let us tempt Christ, as some of them also tempted, and were destroyed by serpents; nor complain, as some of them also complained, and were destroyed by the destroyer. 1 Chronicles 21:15-16 - And God sent an angel to Jerusalem to destroy it. As he was destroying, the LORD looked and relented of the disaster, and said to the angel who was destroying, "It is enough; now restrain your hand." And the angel of the LORD stood by the threshing floor of Ornan the Jebusite. Then David lifted his eyes and saw the angel of the LORD standing between earth and heaven, having in his hand a drawn sword stretched out over Jerusalem. So David and the elders, clothed in sackcloth, fell on their faces. 2 Kings 19:32-35 - "Therefore thus says the LORD concerning the king of Assyria: 'He shall not come into this city, nor shoot an arrow there, nor come before it with shield, nor build a siege mound against it. By the way that he came, by the same shall he return; and he shall not come into this city,' Says the LORD. 'For I will defend this city, to save it for My own sake and for My servant David's sake.' " And it came to pass on a certain night that the angel of the LORD went out, and killed in the camp of the Assyrians one hundred and eighty-five thousand; and when people arose early in the morning, there were the corpses - all dead. Luke 9:56 - "For the Son of Man did not come to destroy men's lives but to save them." And they went to another village. James 4:12 - There is one Lawgiver, who is able to save and to destroy. Who are you to judge another? Revelation 19:11, 19-21 - Now I saw heaven opened, and behold, a white horse. And He who sat on him was called Faithful and True, and in righteousness He judges and makes war. And I saw the beast, the kings of the earth, and their armies, gathered together to make war against Him who sat on the horse and against His army. Then the beast was captured, and with him the false prophet who worked signs in his presence, by which he deceived those who received the mark of the beast and those who worshiped his image. These two were cast alive into the lake of fire burning with brimstone. And the rest were killed with the sword which proceeded from the mouth of Him who sat on the horse. And all the birds were filled with their flesh. Luke 20:13-18 - "Then the owner of the vineyard said, 'What shall I do? I will send my beloved son. Probably they will respect him when they see him.' But when the vinedressers saw him, they reasoned among themselves, saying, 'This is the heir. Come, let us kill him, that the inheritance may be ours.' So they cast him out of the vineyard and killed him. Therefore what will the owner of the vineyard do to them? He will come and destroy those vinedressers and give the vineyard to others." And when they heard it they said, "Certainly not!" Then He looked at them and said, "What then is this that is written: 'The stone which the builders rejected has become the chief cornerstone'? Whoever falls on that stone will be broken; but on whomever it falls, it will grind him to powder." Mark 1:23-24 - Now there was a man in their synagogue with an unclean spirit. And he cried out, saying, "Let us alone! What have we to do with You, Jesus of Nazareth? Did You come to destroy us? I know who You are - the Holy One of God!" Luke 8:28-31 - When he saw Jesus, he cried out, fell down before Him, and with a loud voice said, "What have I to do with You, Jesus, Son of the Most High God? I beg You, do not torment me!" For He had commanded the unclean spirit to come out of the man. For it had often seized him, and he was kept under guard, bound with chains and shackles; and he broke the bonds and was driven by the demon into the wilderness. Jesus asked him, saying, "What is your name?" And he said, "Legion," because many demons had entered him. And they begged Him that He would not command them to go out into the abyss. Matthew 8:28-29 - When He had come to the other side, to the country of the Gergesenes, there met Him two demon-possessed men, coming out of the tombs, exceedingly fierce, so that no one could pass that way. And suddenly they cried out, saying, "What have we to do with You, Jesus, You Son of God? Have You come here to torment us before the time?" Revelation 1:18 - I am He who lives, and was dead, and behold, I am alive forevermore. Amen. And I have the keys of Hades and of Death. Psalms 37:28 - For the LORD loves justice, and does not forsake His saints; they are preserved forever, but the descendants of the wicked shall be cut off. Revelation 9:12 - One woe is past. Behold, still two more woes are coming after these things. Recall from Revelation 1:7, the Greek word translated "behold" means "perceive," or "look." 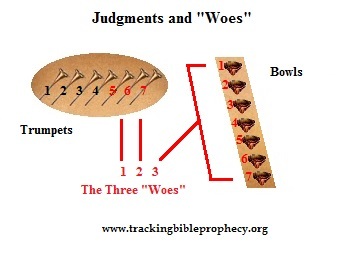 In other words, we are to perceive or understand that the fifth Trumpet judgment is the first "woe," the next judgment is the second "woe," followed by a third "woe." Recall from Revelation 8:13, that a woe can describe grief, affliction, anguish, deep distress, and lamentation. We find these three woes are not just cries of distress like those expressed by the prophets in the Old Testament, but the use of this word characterizes enormity of what will befall the inhabitants of the earth in these coming judgments. In other words, these three woes are specific judgments that are increasingly severe, compared to other judgments already come. Revelation 8:13 - And I looked, and I heard an angel flying through the midst of heaven, saying with a loud voice, "Woe, woe, woe to the inhabitants of the earth, because of the remaining blasts of the trumpet of the three angels who are about to sound!" Revelation 15:1 - Then I saw another sign in heaven, great and marvelous: seven angels having the seven last plagues, for in them the wrath of God is complete. Revelation 19:11, 15-16 - Now I saw heaven opened, and behold, a white horse. And He who sat on him was called Faithful and True, and in righteousness He judges and makes war.... Now out of His mouth goes a sharp sword, that with it He should strike the nations. And He Himself will rule them with a rod of iron. He Himself treads the winepress of the fierceness and wrath of Almighty God. And He has on His robe and on His thigh a name written: KING OF KINGS AND LORD OF LORDS.